IHF America was established in 2010 as a United States registered 501(c)(3) non-profit organization and complies with all US laws and regulations. IHF America supports and promotes Iranian cultural heritage. It has a broad remit that includes archaeology, medieval and early modern Iran, Persian language and literature, and contemporary subjects such as music, film, theatre and art. In 2013 IHF America co-organised with the British Museum and the Smithsonian Institution a touring exhibition of ‘The Cyrus Cylinder and Ancient Persia’ that was shown at the Arthur M. Sackler Gallery, Smithsonian Institution, Washington DC; the Museum of Fine Arts, Houston; the Metropolitan Museum of Art, New York; the Asian Art Museum, San Francisco; and the J. Paul Getty Museum at the Getty Villa, Los Angeles. Apart from the renowned Cyrus Cylinder, sometimes called the First Declaration of Human Rights, the exhibition included sixteen other objects of seminal importance from the British Museum such as the cylinder seal of Darius and a gold armlet from the Oxus Treasure. In all, the exhibition attracted more than 300,000 visitors nationwide and generated 1.37 billion media impressions in 400 media outlets worldwide. In the words of Neil MacGregor, former Director of the British Museum, “You could almost say that the Cyrus Cylinder is a history of the Middle East in one object and it is a link to a past which we all share and to a key moment in history that has shaped the world around us”. The Cyrus Cylinder tour was also the subject of an innovative film entitled ‘7 Sides of a Cylinder’ that gave expatiate Iranians the opportunity to respond to this unprecedented cultural initiative in the USA. In 2013-2015 IHF America supported a curatorial fellow in the Freer Sackler Gallery, responsible for maintenance of the Iranian manuscript collections and special exhibitions. In 2012 IHF America launched, together with IHF UK, the Golha project website (http://golha.co.uk). 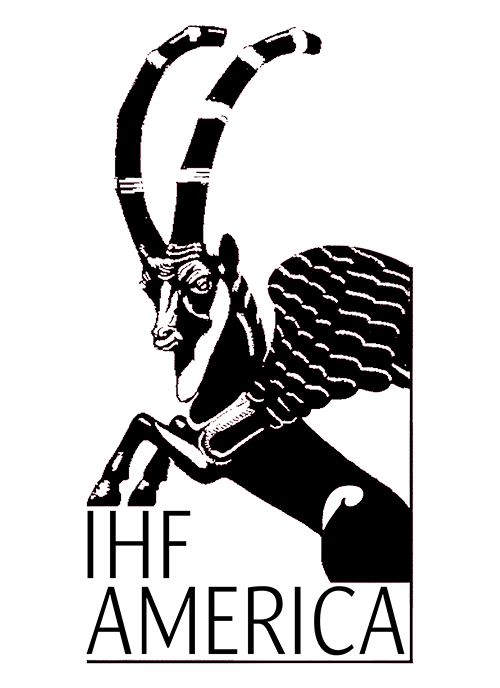 This website provides access to a fully searchable digitized and indexed archive of the very successful Persian classical music series broadcast on Iranian National Radio during the 1950s-1970s. We are dependent on contributions from trustees, corporations, grant-giving bodies and individuals. IHF America receives no government funding and is entirely non-political and non-partisan. Every donation, large or small, helps to make a real difference in achieving the Foundation’s objectives. All donations to IHF America are fully tax deductible under the US tax law section 501(3)(c).